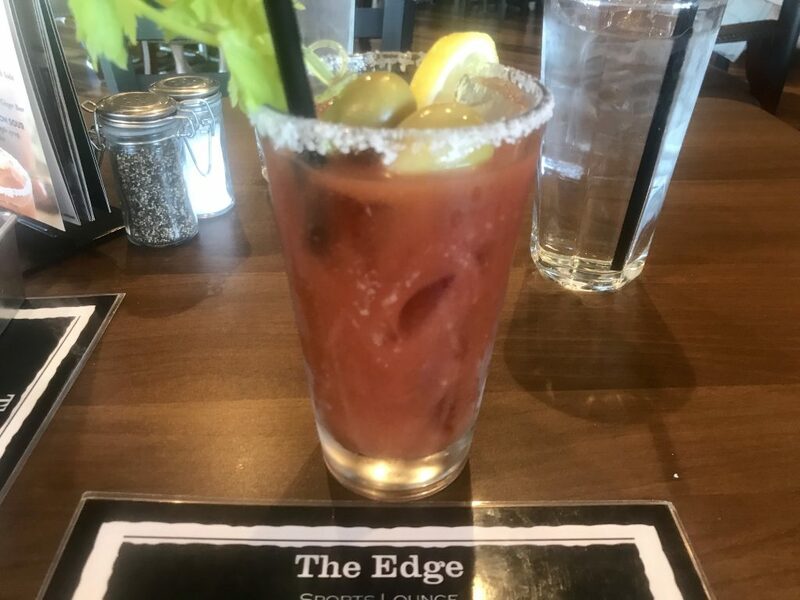 The Edge Steakhouse and Lounge in Kennewick does an outstanding Bloody Mary. Their mix is obviously made in-house and the flavor shows. They offer their Bloody’s a couple of different ways. There’s the regular way as well as the “loaded” version. This one was the “regular” but I’ve had the “loaded” version too. You won’t go wrong with either one. I’m always on the lookout for a great Happy Hour in Tri-Cities. If you see or hear of one, let me know. You can drop me an IM on Shot and a Beer dot com on Facebook or send me a DM on Shot and a Beer’s Instagram. Thanks again.